Our footwear inventory is hand-selected by our expert staff. No other shoe store knows its product line like we do. 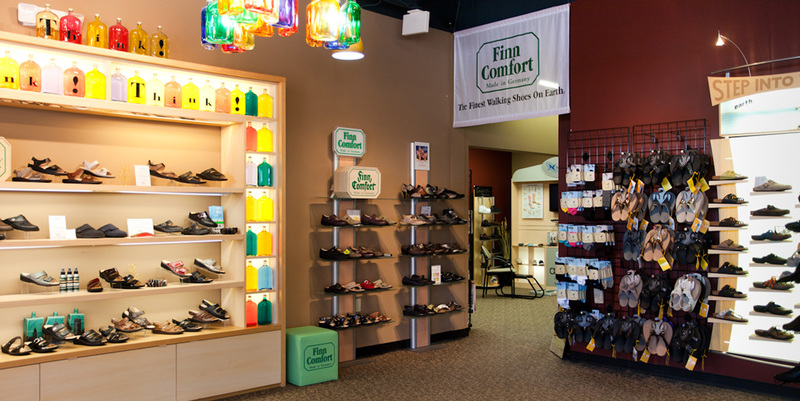 We carry Kansas City’s best and widest selection of European and comfort shoe brands, including Birkenstock, Finn Comfort, Joya, New Balance, Ecco, Naot, Mephisto, Vionic, Wolky, Haflinger, Waldlaufer, Samuel Hubbard, Drew, P.W. Minor, Apex, Aetrex, SmartKnit, Thorlo, kyBoot and more. Looking for a particular brand or style?